Wonderful sunlit home set on a quiet cul-de-sac w/mature landscaping is an easy commute to A2 & Dexter! Loaded w/updates & featuring flexible open living spaces including a 1st flr mstr suite & study. 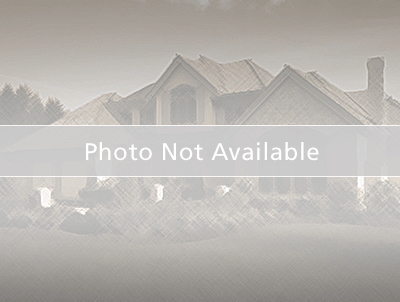 Pretty maple hdwd flrs have been added to foyer, DR, GR & mstr bdrm. Superb GR w/a soaring ceiling, wall of windows overlooking lush bckyrd & FP. Stunning chef's kit w/maple cabs, new granite c-tops w/subway & glass tile bcksplash, new SS appls & center island. Smart hearth/nook area w/2 sided FP creates a cozy space. 1st flr mstr suite retreat w/tray ceiling & w/wlk-in closet & brand new lux tiled bath w/2 vanity areas, high ceiling, spa tub & Euro shwr. Upstairs offers 3 add'l bdrms & newly updated bath. Finished V/O LL w/FR/game/rec area, exercise rm & 3rd bath. Expansive deck & private concrete stamped patio w/peaceful views & rich landscaping. More updates: LED lights, newer GFA & A/C 2015, humidifier, sand filtration H2O softener, ext stain 2014 & more. Extensively maintained! Cornerstone Elementary School Elementary School / Public N/A 4.74 mi. Wylie Elementary School Elementary School / Public 8 4.87 mi. Creekside Intermediate School Elementary School / Public 8 4.79 mi. Mill Creek Middle School Middle School / Public 8 4.94 mi. Dexter High School High School / Public 9 4.35 mi. Bates Elementary School Elementary School / Public N/A 4.85 mi. 8352 Reese Lane, Ann Arbor, MI 48103 is a 4 bedroom, 3.5 bath single family home was sold for $465,000.